- 피부 진정을 위한 순수 티트리 오일 입니다. - 수용성 티트리 오일로 민감한 피부도 안심하고 사용할 수 있습니다. - 벌레 물린곳, 붉어진 곳, 트러블이 생긴 부위에 적당량을 취해 발라 주십시오. 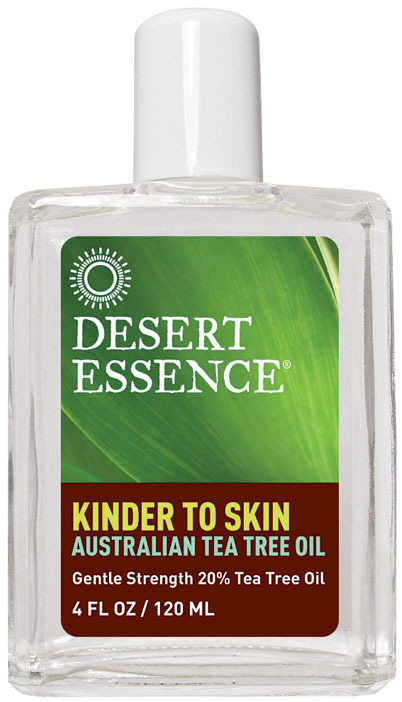 Desert Essence Kinder to Skin Australian Tea Tree Oil is a water-soluble Tea Tree Oil solution for sensitive skin. Directions: Can be applied directly to minor skin irritations, blemishes, insect bites or stings and problem skin areas. For throat and chest congestion, add one capful to vaporizer. Optimum results when used with other Desert Essence Tea Tree Oil Products. Dilute with water or oil. We recommend you test a small amount against clean skin on forearm 24 hours prior to use. Keep out of reach of children and animals. Flammable.